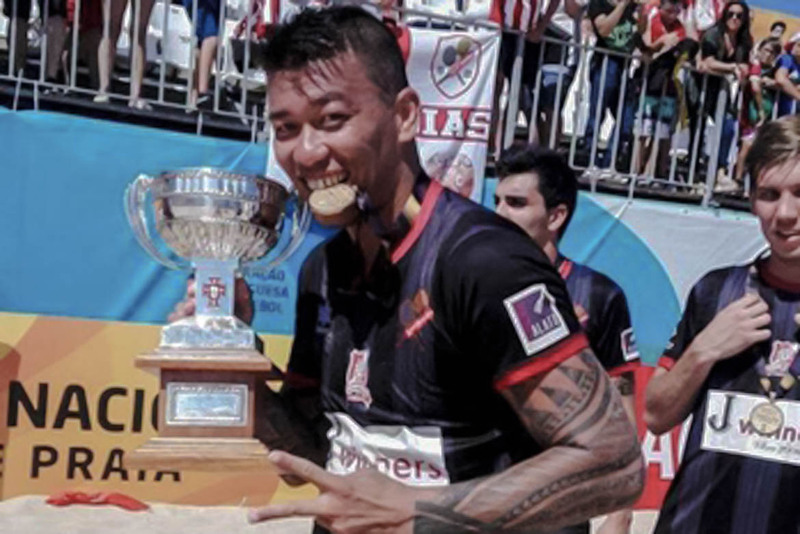 Tahitian beach soccer veteran Angelo Tchen has taken home the 2nd division championship title with Leixoes SC Futebol Sad in Portugal. After finishing out the season in Switzerland, the defender was invited by a teammate to join him in Portugal, an opportunity Tchen leaped at. Taking out the title means Leixoes have earned promotion to the premier division, which coach Jose Faria is delighted by. “It’s a unique feeling, Leixoes is is coming back,” he said.